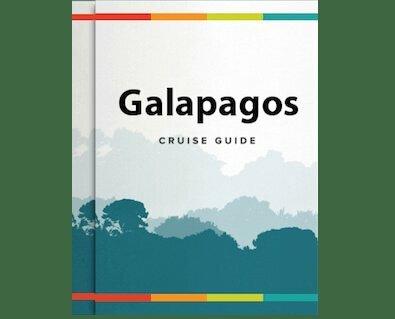 Sail intimately through the Galapagos Islands on this 8 day cruise to the Western and Central islands where you will find some of the most marvelous landscapes in the archipelago. The expert guides of the 16 passenger Cormorant catamaran will take you on multiple excursions throughout the day, allow you to swim with manta rays, snorkel with tropical fish, and witness a myriad of other wildlife not seen anywhere else in the world. Arrival in Baltra airport and transfer to Santa Cruz to visit the highlands before boarding. Dress appropriately for a hike. You’ll also visit the highlands. A place you can walk along a path, observing the hills, ferns, volcanoes, and rich wildlife. This area is home to giant tortoises, forest, mockingbirds, Bahama ducklings, White-cheeked Pintail ducklings, Darwin finches, and many other species. You will come upon the underground lava tubes, which are more than one kilometer (half a mile) long. Local guides are will provide information and flashlights. Walking through the lava tubes is a unique and surreal experience. Highlights include pit craters and Scalesia forest. The Tintoreras Islet, located a short distance from Puerto Villamil, is home to a great variety of wildlife. Its turquoise, crystalline waters are inhabited by white-tipped reef sharks, Galapagos Penguins, marine turtles and sea lions. One of its beaches, surrounded by mangroves is one of the few sites where marine iguanas can reproduce successfully. Highlights include white-tipped reef sharks, penguins, marine turtles, sea lions, and marine iguanas. The Sierra Negra Volcano boasts the largest basaltic caldera in Galapagos at 9 x 10km. The site offers impressive views and the opportunity to observe up to 7 species of finch and a rich display of vegetation. The north side of the caldera provides evidence of its most recent volcanic activity in 2005. Highlights include Basaltic caldera, stunning views, and finches. This center was created to protect animals in their first years of life from the threats of foreign species such as pigs and donkeys. Giant tortoise eggs are collected and brought to the center where they are hatched and kept for five years before being released to their natural environment. Highlights include two of the five sub-species of the giant tortoise. The Wetlands of Isabela Island are located just outside of Puerto Villamil. The Wetlands consist of lagoons, swamps, and mangroves and are home to a variety of unique bird species such as Common Stilts, Whimbrels, White-Cheeked Pintails, and Gallinules. The Wetlands can be visited on foot via a path that winds through the swamps. Highlights include giant mangroves and shore birds. A visit to Mangle Point allows visitors to witness the amazing views and wildlife on the Coast of Fernandina Island. This is a small inlet on Fernandina’s coast where you can snorkel to your hearts delight and watch playful sea lions, curious penguins, and also catch a glimpse of where flight less cormorants reside. Highlights include penguins, lava cactus, sea lions, flightless cormorants, and marine iguanas. At Punta Vicente Roca you will do a panga ride around the beautiful coast line before jumping into the water to enjoy one of the best snorkeling sites of the Galapagos. The underwater cliffs found here are filled with enough colors and life to amaze everyone looking at them for the first time. Also known as James Bay, Egas Port is home to the curious Galapagos Hawks and Quick-footed Galapagos Lava Lizards. The trail leads to a coastline with gorgeous tide pools and grottos full of fauna. Here the Galapagos Fur Sea Lions bathe in the sun. This is also a great snorkeling site. Highlights include Fur sea lions, Galapagos Sea Lions, tidal pools and “grottos”, Galapagos Hawk, oyster catchers, marine iguanas, finches; snorkeling: reef sharks, turtles, rays, and nice underwater formations. Years ago Buccaneer Cove was a safe haven where pirates in the 1600 and 1700’s would stake out on the Northwestern side of Santiago Island. Sea turtles now take the pirates place and dig their nests for their eggs near the mangrove trees. It is a great location for snorkeling and many marine birds and sea lions can be found here. Highlights include rock formations, tropical fish, turtles, and sting-rays while snorkeling. Espumilla Beach is a popular place for marine iguanas and Sally Lightfoot Crabs. The crabs attract the hunting herons, performing the dance of predator and prey. With an abundance of marine life including octopi, moray eel, and shark, snorkeling is highly recommended. A highlight is snorkeling. Also known as El Barranco, Prince Phillip's Steps' steep, rocky paths leads up to a high cliff-face. A marvelous view can be appreciated from here. This site is also home to Palo Santo vegetation as well as red-footed boobies, short-eared Lava Owls, Galapagos swallows, and Galapagos doves. This white-sand coral beach heads a half mile trail (.75km) that winds through mangroves filled with land birds. Nazca Boobies, Red-footed Boobies, and Swallow-tailed Gulls can be spotted here. Further down the path are tidal pools where sea lions swim playfully. At the end is a spectacular view off a cliff. Highlights include Nazca Boobies, Red- footed Boobies, Swallow-tailed Gulls, mangroves, coral pebbles beach, snorkeling: rays, colorful reef fish and hammerhead sharks. Galapagos Sea Lions, Blue-footed Boobies and Magnificent Frigatebirds are abundant on North Seymour Island. The island was formed by a series of submarine lavas containing layers of sediment that were uplifted by tectonic activity. The island is characterized by its arid vegetation zone. Highlights include Land & marine iguanas, frigatebirds, Blue-footed Boobies, sea lions; snorkeling: Rays, reef shark, fish, and garden eels.